It’s March and it’s madness. The FA Cup continued its slow but steady return to football’s radar of relevance over the weekend, with storylines abounding across England. 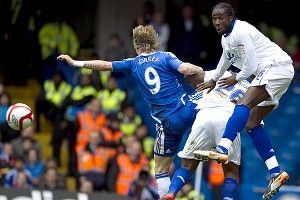 And while the goal-scoring return of Chelsea’s Fernando Torres and vaudeville villainy of Liverpool’s Luis Suarez are subjects that warrant considerable attention in this week’s podcast, all of it pales in significance compared to the condition of Bolton midfielder Fabrice Muamba after his collapse during the quarterfinal clash at White Hart Lane. Michael Davies and Roger Bennett review the remarkable storylines and salivate with anticipation at the week of scintillating football that lies ahead, including the seismic Manchester City-Chelsea matchup. The Blazered Men wrap up the pod by discussing the usual: How to fix the Champions League away goals rule, and whether “Ginger Ninja” is officially the greatest nickname in soccer.